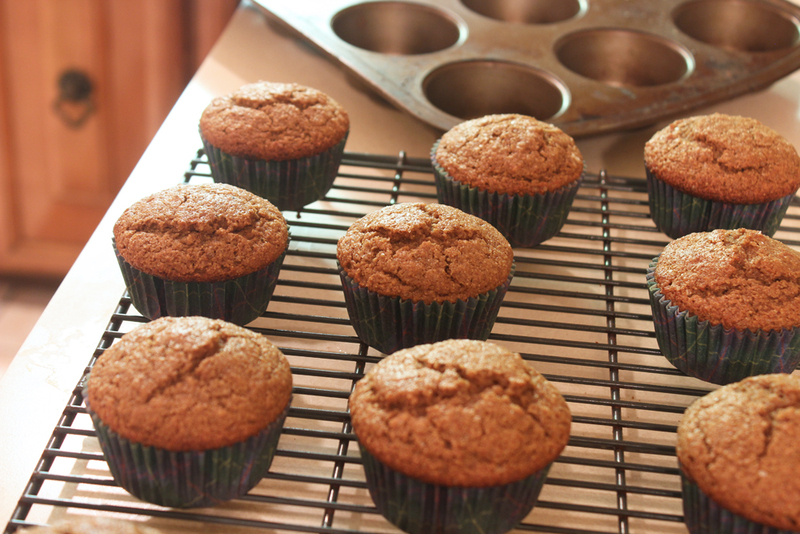 These muffins were so popular that I ended up making them three times in a week. I skipped the streusel in the original recipe because I didn’t think they’d need it, and I was right; the combination of apple cider, maple syrup, and spices provided more than enough flavor. 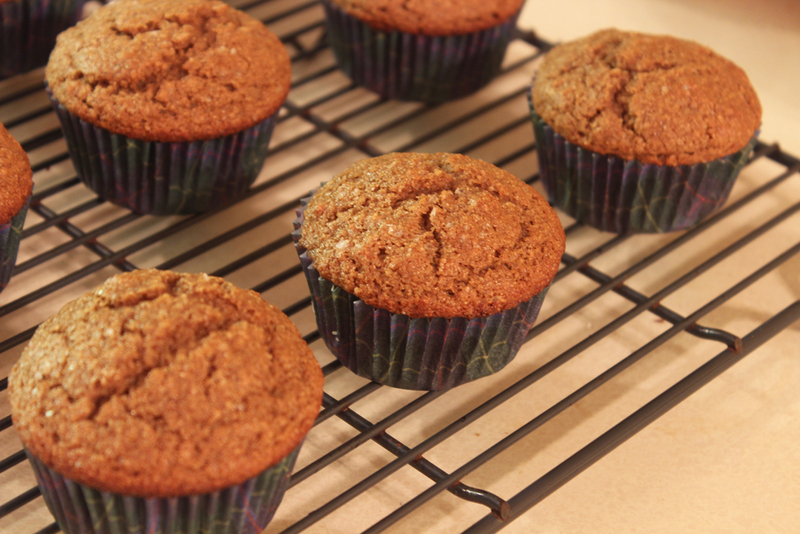 I just sprinkled a little cinnamon-sugar on top, for luck, and they turned out great. Perfect crumb, too. A win! I played with the dry ingredients just a bit, going for a whole wheat white flour & wheat germ combination. 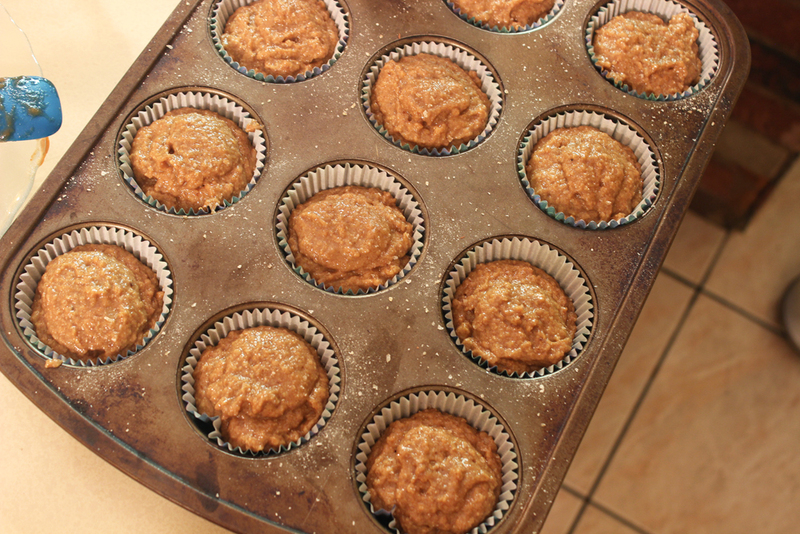 (The third time I made them, I was out of wheat germ, so I just used all flour.) As always, I was generous with the cinnamon. For the liquid ingredients, I swapped out the plain yogurt for vanilla and used safflower oil instead of canola. I find it gives my baked goods a lighter texture. Another reason I made these three times in a week? Despite using a LOT of different ingredients, they were still really easy to pull together. The messiest part wasn’t the sticky maple syrup or the gooey (fresh-from-the-orchard) apple butter, it was the cinnamon sugar, which tends to get all over the place. You can’t argue with muffin beauty. Or muffin deliciousness. A perfect taste for early fall, and a perfectly lovely breakfast. Just one thing to note: these really come into their full flavors a day after baking, so if you have people coming over, make them a day ahead. 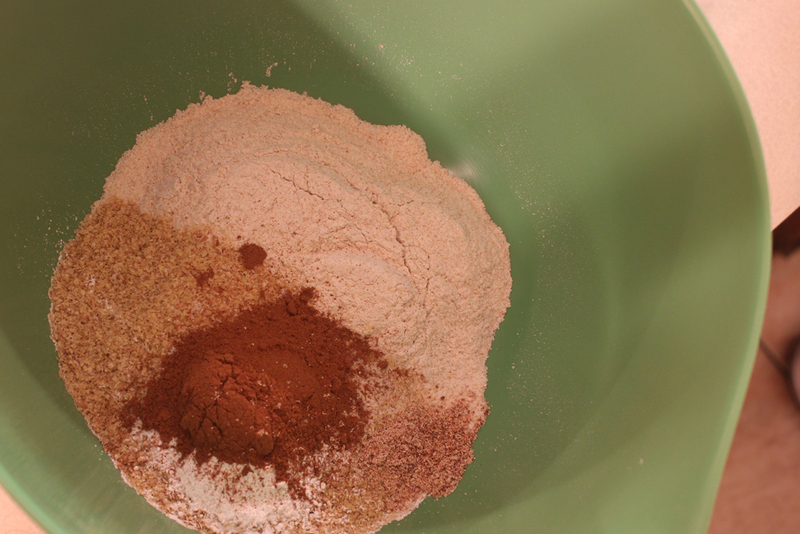 In a large bowl, whisk together the flour, wheat germ, baking powder, baking soda, salt, cinnamon, and nutmeg. 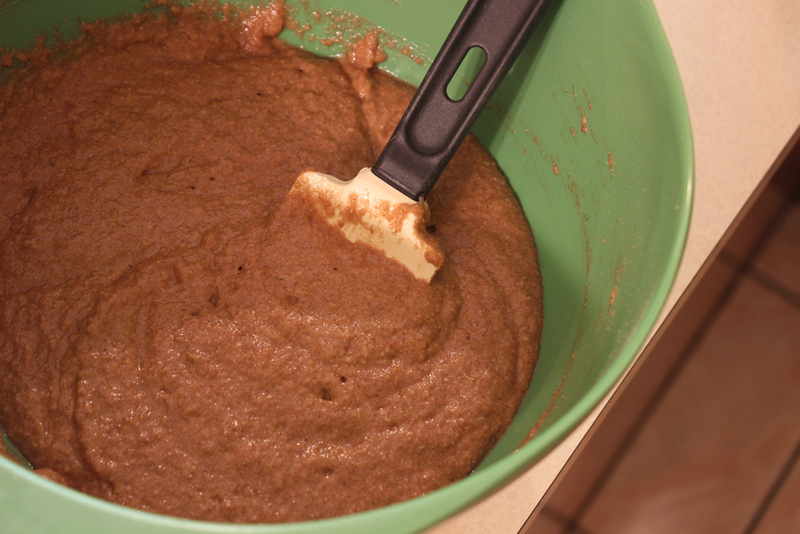 In a medium bowl, whisk the egg and brown sugar together until completely combined. Add the apple butter, maple syrup, cider, yogurt, and oil, and whisk well. 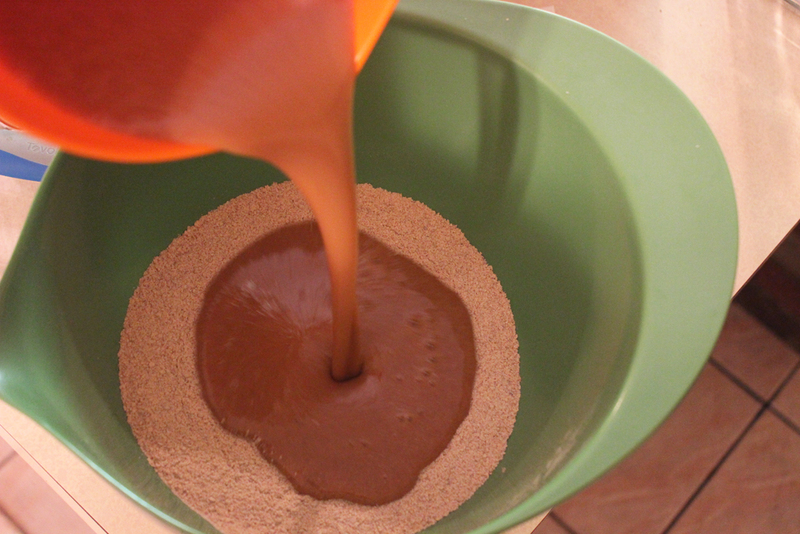 Pour the liquid mixture into the dry and stir with a spatula just until combined. 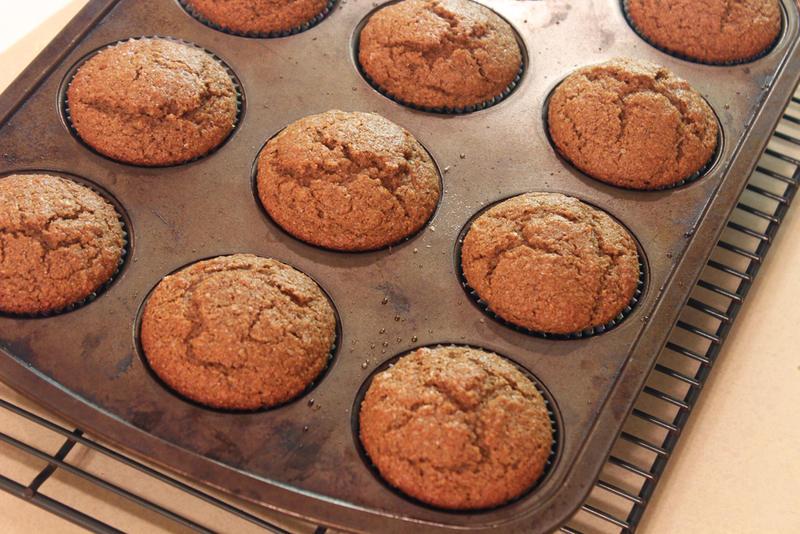 Bake at 425 for 5 minutes, then reduce temperature to 400 and bake for another ten minutes, until a toothpick inserted into one of the muffins comes out clean. Let sit in the pan for another five minutes, then remove to cool completely.